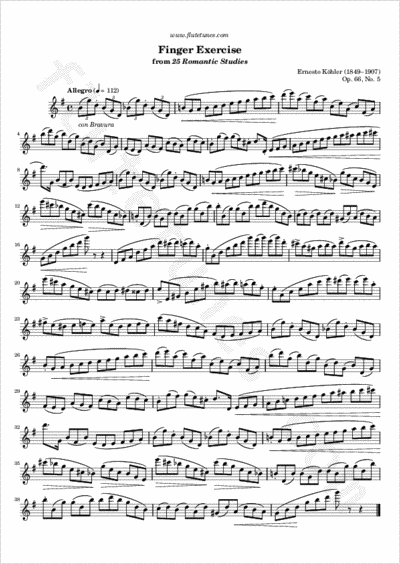 This is the fifth étude from Ernesto Köhler's 25 Romantic Studies, Op. 66. Despite its title, it is not very difficult; just start at a moderate tempo and make sure that your fingers move like clockwork, then gradually speed it up.